Most important in the bathroom is adequate lighting. 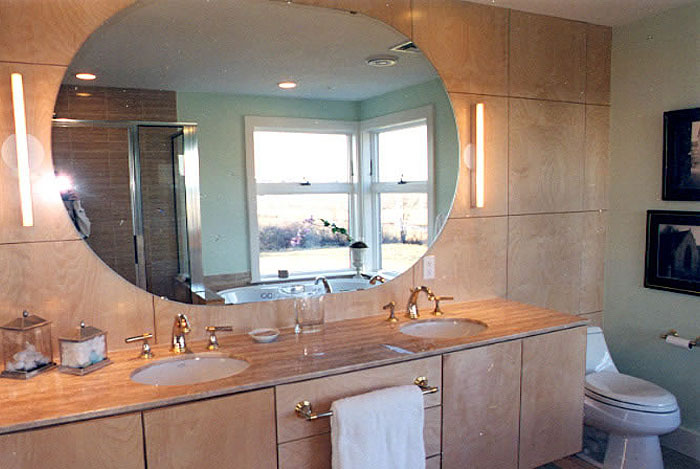 Using wall sconces on either side of a mirror over the vanity eliminates shadows on the face. These sconces use special fluorescent tubes that match the reflected warm lighting of incandescants. Recessed halogen lights give ambient lighting and sparkle to the travertine countertops and beautifullly grained squares of wood paneling. 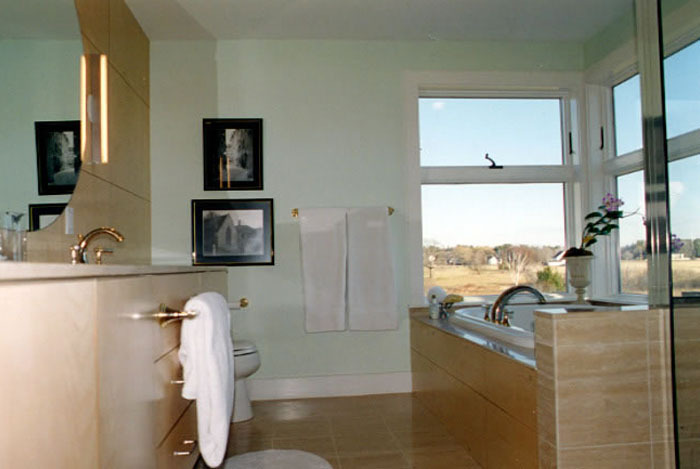 The green color in water and glass was chosen for the background wall color of this bathroom facing marsh and ocean.